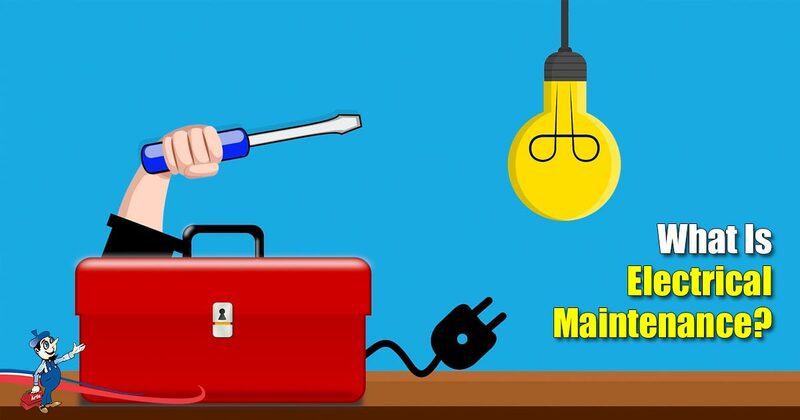 Home » Plumbing, AC & Electric Tips » Electrical » What Is Electrical Maintenance? Residential electrical maintenance is vital for the safety of your home and family, including ensuring the longevity of your household appliances. Neglected electrical maintenance has the potential to cause electrocution from sparks, electrical fires from short circuits, as well as damage to your appliances. This poses a dangerous threat and something we want to prevent happening to you and your home. Avoiding these dangers as much as possible simply involves a bit of foresight and care. What Does Electrical Maintenance Entail? Maintaining the fittings in your home as well as the devices and appliances that are powered by electricity should be done on a regular basis in order to anticipate any threats to the safety of your home. This should be carried out by an electrical company such as Art Plumbing, AC & Electric who are experienced professionals at residential electrical repair and maintenance. By carrying out regular electrical maintenance, you will get ahead of any costly and dangerous situations. Systems such as your electrical wiring are not constantly in your face for you to keep an eye on. You won’t walk past your wires and notice there is a frayed wire with a worn casing (well, we hope not as they should be neatly tucked away). Through these checks, you will be able to pick up these things and have them repaired right away before they begin to affect the rest of your household, like your lamps and charging devices. This does not only apply to your actual wiring but also electrical elements like your HVAC (heating ventilation and air conditioner). Having your AC down will cause discomfort for your family, especially on those hot, humid days. Additionally, if your HVAC is acting up because of faulty parts that need repairing or replacing, extreme heat variations may occur which is not healthy for your family. Your HVAC wiring may also need some attention. Your outdoor lighting also plays an important function in your home, like your HVAC. Outdoor lighting provides your home with that added safety at night, as it aims to deter thieves through providing well-lit visibility all around your home. It is also beneficial for you and your guests at night when making use of your outside space. You’ll want to be sure that you keep this function up and running smoothly through electrical checks as it poses safety threats should it not be working efficiently or even at all. Aside from health dangers, the scariest threat concerned with electricity must be the potential fire hazard. Electrical faults that occur due to faulty wiring are responsible for a majority of fires in homes and cause substantial loss. The heat that is generated from wiring can cause the protective case to break down over time. Without this protective covering, wires make contact and create sparks which can lead to fires within your home. Thankfully, signs like tripping of switches, brown/discolored wall sockets and even an electrical shock when plugging in an appliance should alert you that there is a problem. If you’re already noticing these signs, get in touch with an electrical company as soon as possible. Unfortunately, homeowners tend to become complacent with everyday occurrences but this is not a safe approach and needs to be addressed. This is why regular electrical maintenance is beneficial. You should never get to the point where your home is facing potential safety issues. Although it is incredibly satisfying to be able to take care of your home’s electrical needs on your own, this isn’t always the most cost-effective way. If you are not 100% certain of what you’re doing or are not familiar with electrical maintenance, you may cause more harm than good by trying to repair these issues yourself. Go ahead and change that light bulb that seems to be going out, but if the light causes reoccurring tripping of your system, there is likely to be a deeper issue that should be left to the professionals over at Art Plumbing, AC & Electric. Your safety and comfort are our main priority. Prevention is always better than cure.